Ai-jen Poo, director of the National Domestic Workers Alliance (NDWA) and co-director of the Caring Across Generations campaign, is the author of The Age of Dignity: Caring for a Changing America (The New Press) and winner of a 2014 MacArthur “genius” grant. She has been organizing immigrant women workers since 1996. In 2000, she co-founded Domestic Workers United (DWU), the New York organization that spearheaded the successful passage of the state’s historic Domestic Workers Bill of Rights in 2010. In 2007, DWU helped organize the first national domestic workers convening, out of which formed the NDWA. Poo serves on the boards of directors of Momsrising, National Jobs with Justice, Working America, the National Committee for Responsive Philanthropy, and the National Council on Aging. Among her numerous accolades are the Ms. Foundation Woman of Vision Award, the Independent Sector American Express NGen Leadership Award, and being chosen for Newsweek’s 150 Fearless Women list and Time’s list of the 100 Most Influential People in the World. Ai-jen Poo discusses her new book, highlighting "the systems and attitudes that we must adopt in order to get ready for the demographic and economic changes that are fast approaching." 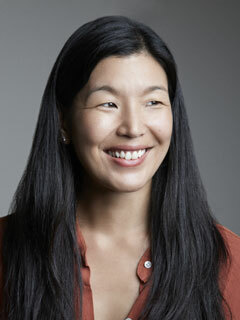 Truth-out's Eleanor J. Bader interviews Ai-Jen Poo about the US's rapidly aging population. Feministing reviews The Age of Dignity, calling it "another way to amplify the efforts and successes of today’s movement for dignity and protections for all domestic workers."